Set of six good heavy quality Cromwellian style oak dining chairs. 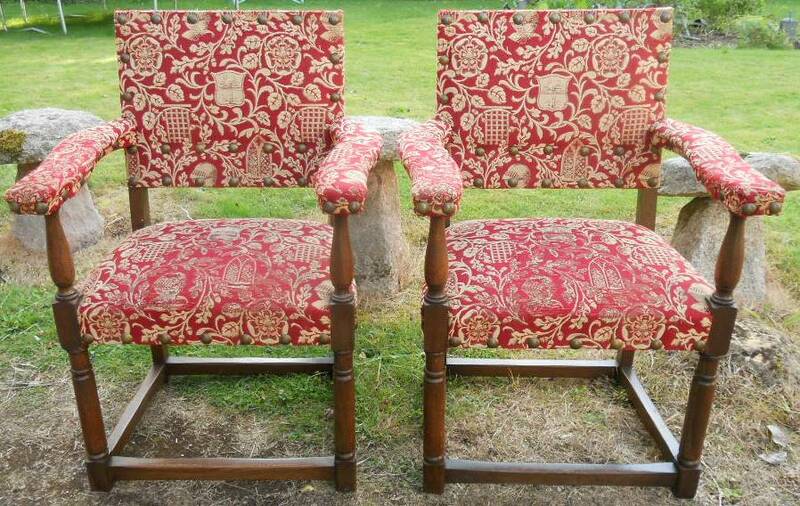 Two large carver armchairs and four matching single chairs, all raised on turned forelegs with joining lower stretchers. 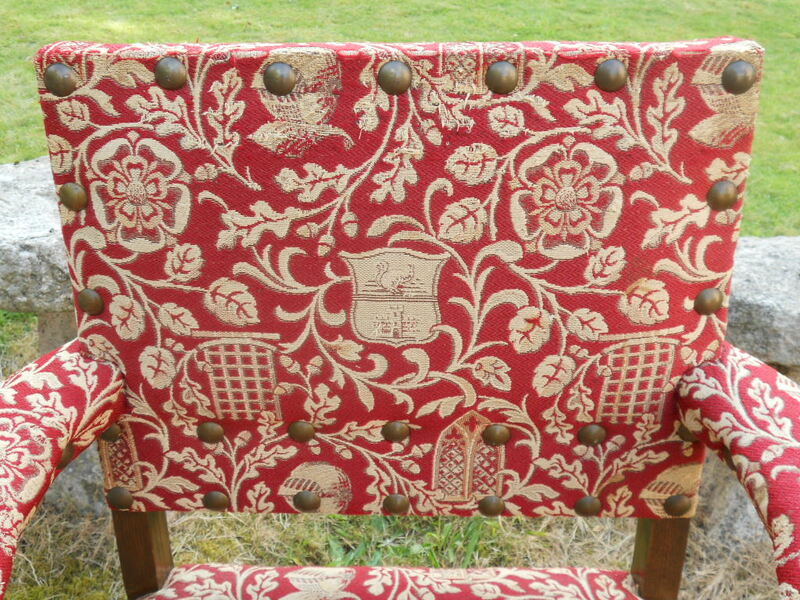 Having heavily studded upholstered backs and matching seats in heralic Tudor style print, showing some signs of wear but in usuable condition. Fabric pattern contains Tudor roses, Knights, castle gates and oak leaves.